I despise politics. The rhetoric, the relentless self-promotion, the fact that politics subvert the purpose of government from governing to gaining and retaining power. It turns capable people into preening caricatures, and elevates buffoons to the status of statesmen. The process of getting elected and re-elected has become an elaborate game whose rules are more substantial and compelling than the results they're supposed to achieve. I get the feeling that if someone were to create an online role-playing game a la "Worlds of Warcraft" that faithfully mimicked the election process, we could effectively neuter the next generation of political wonks by sending them scurrying to their parents' basements forever. That wouldn't solve the problem of the current generation, of course. Maybe we could set them up with a sweet version of Solitaire to distract them from ruining democracy until they die a natural death. Or get them a karaoke machine, like the gentleman on the right. ﻿But I think I have a better idea. And by "better" I mean "completely unrealistic but bound to piss people off." Here's what we should do. All members of Congress should be chosen by random selection of a name from among all those in a given state or district who express interest in the job (subject to requirements of residency, age, etc.). Literally put their names in a hat and let the winner of the Miss Local Corn pageant pull one out, or have a drawing right after the Powerball numbers are announced. Maybe have some cute puppies on hand, too. If you don't like puppies, the terrorists win. Assuming the person whose name is chosen is willing and able to fulfill the requirements of office, he or she serves a single term. At the end of the term, the voters decide whether or not to retain that person for the next term, again assuming he or she is willing and able to continue in office. The ballot won't contain the names of any candidates; there'll be only a simple "Yes" or "No" to the question of whether the incumbent should keep the job. 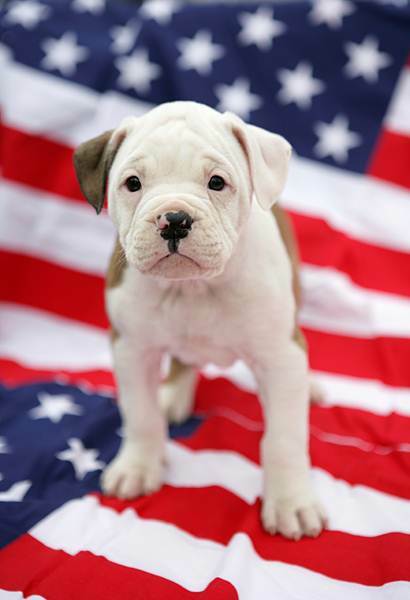 If the vote is "Yes," the public servant returns to Washington (probably with a few puppies in tow for photo ops). And he or she can serve for as many terms as the voters decide he or she is serving them well. 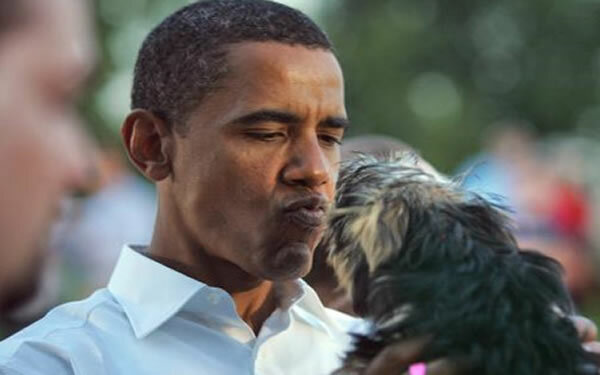 if you won't kiss a dog on the lips? ﻿﻿If the vote is "No," it's game over for that person. 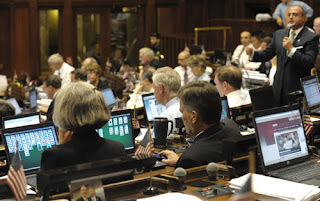 A new drawing is held for a single-term representative. All eligible former officeholders are welcome to put their name in again, of course, but they'll have the same chance as anyone else to be chosen. Even a television pundit like Stephen Colbert would have a shot at Congress and not be excluded by dint of petty, arbitrarily wielded rules like those that surround running for President. Now, some would argue that the Congress of the United States is too large and complex an institution to open itself up to a practice that invalidates the benefits of incumbency, coalition-building, and intimate knowledge of the mechanics of lawmaking. And that it's risky to entrust our great nation to a rotating and potentially underqualified group of citizen leaders. And of course, there's the fact that the government itself is overwhelmingly too large and complicated for anyone to learn how to finesse the system in a single term. Oh, and did I mention that this idea would probably put most of the 24-hour news channels - and their "journalists" - out of business?